Get to the heart of your game with GOLFPASS, a vibrant community surrounding the great game of golf. 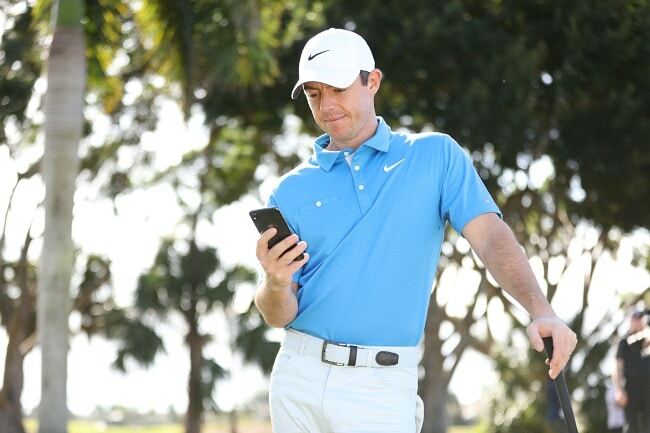 NBC Sports Group and pro golfer Rory McIIroy set out to do just that thorough the launch of GOLFPASS, a new digital subscription aiming to reach all the devices golfers and golf fans use with original content, benefits, insights and industry trends of your favorite sport. Much like the Golf Channel was founded by Arnold Palmer almost 25 years ago, GOLFPASS wants to impact the sport, elevate your game and showcase a lifestyle shared by millions around the world while enabling a living legacy for founder McIIroy. The Sports Techie community blog was honored to be included in the media conference call today with McIlroy, Mike McCarley, president and Will McIntosh, executive vice president of strategy for Golf, NBC Sports, as they provided an introduction to GOLFPASS, a modern, digital golf membership. The cost is $9.99 a month or $99 per year, the yearly pricing includes a savings of 20% and a free dozen golf balls from TaylorMade. THE Sports Techie Q&A with the panel is near the bottom of the story. Play, Learn, Watch, Travel and Shop at GOLFPASS. “So we’re building a business that connects golfers to the game, connects golfers to their passion. So what we’re announcing today is a direct-to-consumer membership called GolfPass that’s really got five distinct connections to the game of golf,” stated McCarley. He added, “One is play, that’s based on GolfNow, which is really something that’s like an Open Table for golf where we have tee times at 7,000 different golf courses in 26 countries around the world. The second is learn, which is really video-based instruction. We’ve got 4,000 video lessons and tips at launch on GolfPass today from some of the top coaches from around the world and some of the biggest names in the game. Third is shop, which we have a lot of partners. 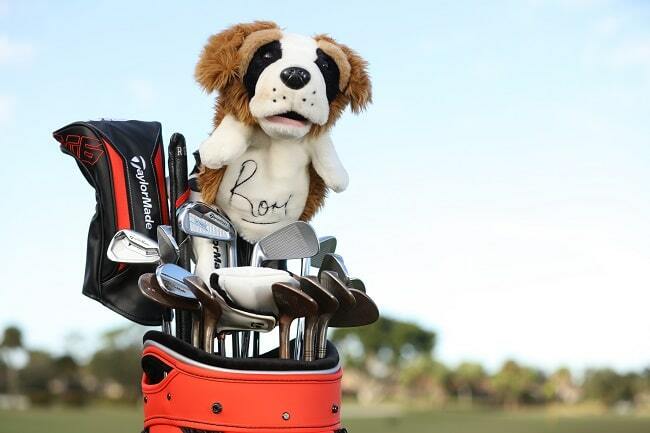 TaylorMade is a significant launch partner. If you sign up for an annual pass, you get a free dozen TaylorMade golf balls, and you also get discounts across TaylorMade products. The fourth is travel, which we’ve launched through our business of Golf Advisor. It’s like a Yelp or a Trip Advisor that’s a ratings and review service for golf courses all around the world. We’ve got nearly a million reviews and a lot of travel-related information geared towards a golfer who would like to plan a golf trip. And lastly is watch, which a lot of content that’s original to GolfPass, including some that Rory has been working on with us for some time, and then also some of the content that a lot of you, you know and have come to appreciate from The Golf Channel archives,” said McCarley. Two years in the making, NBC Sports Group approached McIIroy about a year ago joining together to make it so. Rory is a 29-year old lifer. What I mean by that is he will be around golf his whole life. Rory loved golf as an amateur playing kid, plays professionally as an adult, and when he finally retires from play, look for him to stay close to the game through GOLFPASS. GOLFPASS offers behind the scenes looks, player data, original series featuring top professionals and much more fan-friendly programming. The archived footage of past Ryder Cups and The Open Championship is priceless. The Golf Channel has a built in fanbase in which GOLFPASS can from grow from. The 24/7, 365 network reaches 500 million viewers in 70 different countries and nine languages worldwide. They also program 23 weekends of golf a year on NBC. 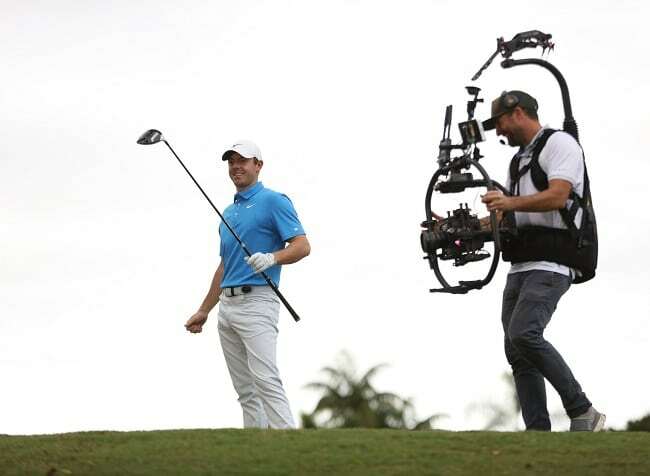 NBC Sports Group’s GOLF division delivers multimedia golf content, technology and services. Anchored by GOLF Channel – co-founded by Arnold Palmer in 1995 – GOLFcontent is available to nearly 500 million viewers in nine languages across more than 70 countries around the world. GOLF features more live coverage of the sport than all other U.S. networks combined, including global tournament action from the PGA TOUR, LPGA Tour, European Tour, NCAA, THE PLAYERS, The Open, Olympics, Presidents Cup and Ryder Cup, as well as high-quality news, instruction and original programming. Delivering unmatched coverage from the world of golf via GOLF Digital, fans can access 24/7 live streaming through the NBC Sports App, as well as complementary coverage via PGA TOUR LIVE on NBC Sports Gold. In addition to these all-encompassing media platforms, NBC Sports connects the world to golf through a wide array of technology and lifestyle services, including: GOLFNOW, the world’s largest online tee time booking platform; GOLF Business Solutions, solving business needs through leading technology, marketing and services; GOLFPASS, an all-in-one digital membership delivering comprehensive benefits tailored to the modern golfer’s lifestyle; Revolution GOLF, the world’s largest direct-to-consumer digital platform in golf, offering best-in-class video instruction and game improvement products; GOLF Advisor, the ultimate digital destination for the traveling golfer, featuring the largest number of user-generated golf course ratings and reviews in the industry; GOLF Academy, a North American network of instructional facilities; and GOLF Am Tour, the world’s largest amateur golf tour. GOLF’s global reach originates from its world headquarters in Orlando, Fla., and extends to its international office in Belfast, Northern Ireland; regional offices across North America, Europe and Australia; and also includes collaborations with Sky Sports and serving as the Official Media Partner of St Andrews Links. Q. Lessons with a Champion Golfer instructional series uses cutting edge sports tech products such as Swing 360 camera, specialty graphics, Toptracer and Trackman stats. What kind of an impact does using GOLFPASS sports tech have on your golf game and also the lifestyle you and fellow golfers lead? Q. How are you addressing marketing to women and the millennial Gen Z community? RORY McILROY: Yeah, so I’d say obviously that’s a very great question. I think golf does need to obviously get more women playing, and I think there are some great initiatives out there to get — whether it be younger women or millenial generation to take up the game, and I think GolfPass is a part of that. I don’t think it’s the whole solution, but to definitely make golf more accessible and to make it a little easier and fun to be involved in and play I think is a good part of it. But you bring up a very interesting point. It is a state — I think golf is in a great spot right now, but at the same time we need to encourage the younger generation to get out there and play more and also young females and women in the game, as well. MIKE McCARLEY: One thing of note: If you look at all the various demographic groups in the game of golf over the last few years, the fastest growing demographic group is actually young girls. So if you look at some of the things that the various governing bodies in the game have done, probably the one that’s getting the most attention is the Drive, Chip and Putt event that’s held the Sunday prior to Masters week at Augusta National that we televise on Golf Channel because there’s qualifying — local and regional qualifying all around the country. The PGA Junior Leagues, where kids play on a team much like they would in little league, gives a kid a really good introduction to the sport, much like they would in another team sport. The LPGA and the USGA have gotten together for a girls’ golf initiative that’s very successful. RORY McILROY: And the Women’s Amateur at Augusta that’s coming up this year. MIKE McCARLEY: Good point. The day before the Drive, Chip and Putt, the inaugural Women’s Amateur will be played. The top female amateurs in the world will play Augusta National, which will be the first competitive event where women are playing at that obviously historic and storied venue. And then you look at things like TopGolf and Drive Shack and simulator golf, and you’re starting to see a real groundswell of other ways for young people who may or may not have been engaged in the game of golf to get involved in golf. I mean, you’re kind of — think about it as redefining a golf experience. It doesn’t have to be the first tee at 8:00 a.m. in a pair of spikes. It can be 8:00 p.m. at TopGolf in a pair of flip-flops, and if you have a golf club in your hand, you’re hitting a ball, that’s a golf experience. There is a lot of truth to this statement. Golf is now in the hands of GOLFPASS as the digital face changes from Arnie to Rory. Play, Learn, Watch, Travel and Shop with GOLFPASS.